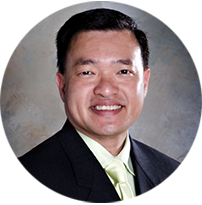 Dr. Tran attended the University of Florida for his Bachelor Degree of Science in Microbiology. He then completed his Master of Biomedical Science Degree at Barry University School of Natural Health and Sciences and Doctor of Podiatric Medicine in Miami, Florida. Dr. Tran has a three-year post-doctoral residency training in the diagnosis and treatment of both Medically and Surgically disorders of the foot and ankles of the New York University Downtown Hospitals in New York, New York. He is an active member of the American Podiatric Medical Association and the Texas Podiatric Medical Association. He is an Associate of the American Professional Wound Care Association. He is board certified with the American Board of Multiple Specialty in Podiatry and board eligible with the American Board of Podiatric Orthopedics and the American Board of Podiatric Surgery. Dr. Tran has medical and surgical staff privileges at Presbyterian Hospital of Dallas, Lifecare Hospital of Plano, and Medical City of Frisco. Dr. Tran resides in Frisco with his wife Trang and two daughters Jasmine and Jacquelyn.